These cranes live in steppe habitats, meadows, feathery grass, and damp marshes. Range: Northwestern Africa, to Japan, and western Europe. Status: Migratory population is abundant in its non-breeding range in the east. However, there are only a small number of nests located in Morocco, where the breeding numbers were larger. Diet: The demoiselle cranes feed on plants, grass seeds, insects, and grains. Location in the Zoo: near the snack bar. Physical Description: The demoiselle crane is known to be one of the smaller of all cranes. The birds have a feathery gray areas that ranges from the crown to the nape. A white line from the corner of the eye extends to the back of the head. The crane has black legs and toes. The bill of the colors yellow, green and pink. They are closely related to the blue crane. The standing height is about 1.05 meters. The wing length extends from 51 to 59 centimeters. 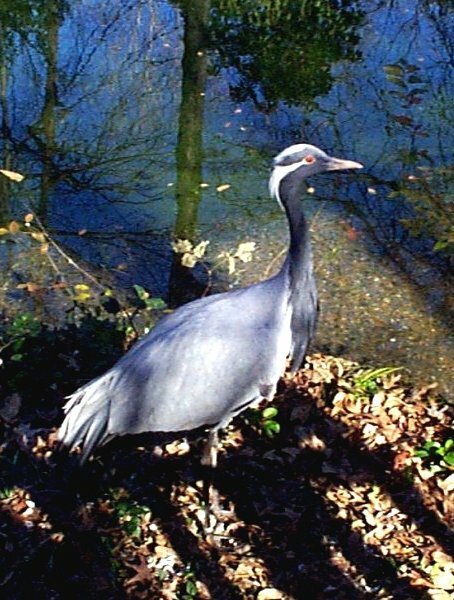 General Information: This crane is endangered in parts of north western Africa. However, there is a great concentration in Sudan. The seasonal migrants is not known, but there is an estimation of 35,000. Personal Observations: There was a great difficulty on finding information about the demoiselle crane. Not much information was found through the internet. The articles found concerned migration. Many zoo sites provided general information. Finding information in bird books or encyclopedias was also difficult. The facts found was either broad or varied. It seems that there is much more to be learned about this crane. It seems not as popular as the whooping crane or the wattled crane. 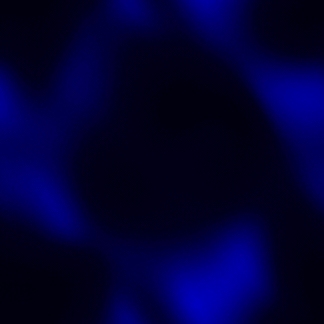 These links provided information used on this web site. Visit these sites!!! They're great! The related links above provided information used on the web site. Stuart, Tilde and Chris. "Africa's Vanishing Wildlife." Smithsonian Institution Press. Washington: 1996.